Come join us and learn to sew. By the end of the week you'll have learned to use a sewing machine and will have several projects to take-away and use. Lessons start with introduction to sewing and progress through the construction of things like a bookmark, pin cushion, pillowcase, totebag, skirt or shorts. You'll dye your own fabric and learn to hand embroider! This camp includes 5 half-days and is intended for children who will be entering the 3rd grade in the 2019-2020 school year through age 14. Skill Details: Hip Stitch will provide each student with their own sewing machine to use during the class. In order to provide students with a seamless learning experience, we will not allow students to bring in their own machine for this class. 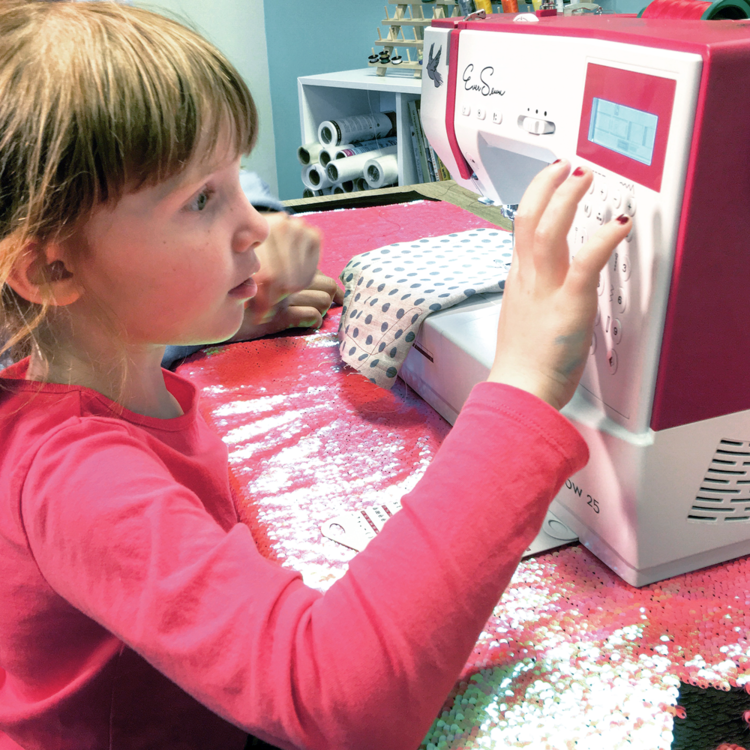 But, we'll make a sewing machine just like the one you used in class available for you to purchase at a special discounted price! Materials Included: Cost includes snacks, handouts, and materials for bookmark and pin cushion. 15% off all other materials needed to make class projects.